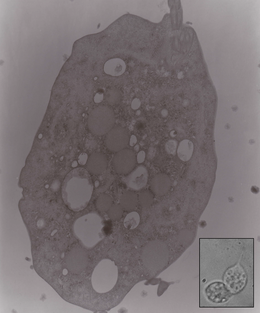 Blastocystis sp. is a gastrointestinal parasite commonly found in humans and animals as well as in water samples. Its role in the gut microbiome - whether pathogenic or beneficial - remains unresolved. There are currently 17 known subtypes infecting mammals and birds and its relation to pathogenticity is still unclear. 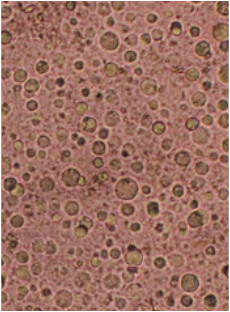 Thus, the Molecular Protozoology Laboratory concentrates on subtype diversity of Blastocystis sp. and its relation to zoonotic, anthroponotic, and waterborne transmission as well as potential pathogenicity. Davin Edric V. Adao, M.Sc. Trichomonas vaginalis is a parasite found in the urogenital tract of humans. It is the agent of the most prevalent sexually transmitted infection trichomoniasis. The Molecular Protozoology Laboratory focuses on the detection and characterization, i.e. viral infection and drug susceptibility, of T. vaginalis in the Philippines. Aside from T. vaginalis, our laboratory detects and maintains trichomonads from animals including T. tenax, T. gallinae,Tetratrichomonas sp., Trichomitus sp., Pentatrichomonas sp., and Hypotrichomonas sp.